Championing a stronger, fairer Norfolk means speaking with a strong voice for rural communities. Much of Norfolk’s rural economy consists of small and micro-enterprise. We know that very small businesses and those operating in rural areas face particular issues and we speak up on your behalf. We are involved in key discussions about the county’s rural development strategy. One of our main aims is to ensure that economic development approaches are appropriate and accessible for smaller organisations, regardless of where they are in the county or the sector in which they work. We can help you reach new partners in your local community, advise you on your corporate social responsibility policy, and provide research and consultation services to inform your business planning. 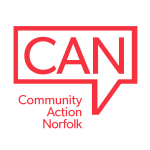 Through our work on VCS Engage and position as the leading provider of voluntary sector infrastructure support in Norfolk we can broker connections between the not for profit and private sector, helping organisations to work together on matters of shared interest.